There are a few different versions of CentOS Linux currently available, but which version are you running? Here we’ll show you how to quickly check and see which version of CentOS you are using. In this example we use the command line interface (CLI) to read the current version of CentOS from the contents of the /etc/centos-release file. As shown this file contains our current version, stating that we are on CentOS 7.2 in this particular example. This file is readable by any user, so anyone can check the current CentOS version this way. In Red Hat Enterprise Linux (RHEL) the file used is /etc/redhat-release. In CentOS, /etc/redhat-release is a symlink to /etc/centos-release for compatibility purposes. 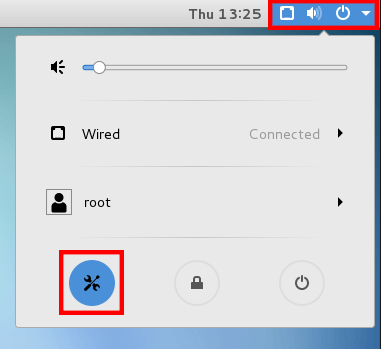 We can also easily check which version of CentOS is installed through the GUI if it is installed, simply click the top right hand corner area followed by the settings option. From the All Settings window, click on Details as highlighted below. 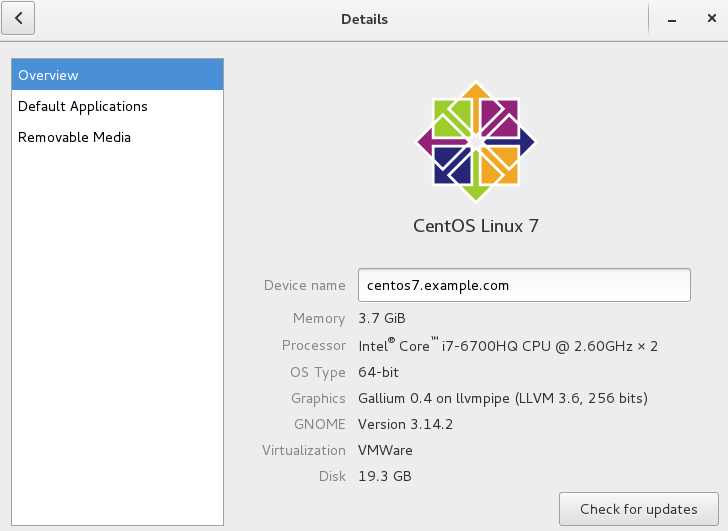 This should open up the Details window, which states that we are running CentOS Linux 7, however note that it does appear to be limited as it does not display the specific version as we saw in the /etc/centos-release file. Don’t have a GUI installed but want one? 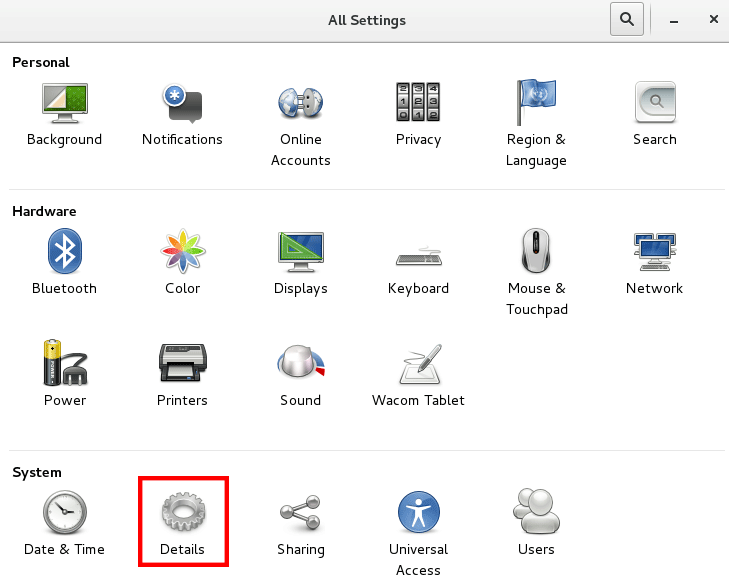 See our guide on installing a GUI in CentOS 7. Here we have shown how you can check the currently installed version of CentOS through both the command line, and through the graphical user interface. Both methods allow you to quickly check and confirm which version of CentOS Linux your system is using.